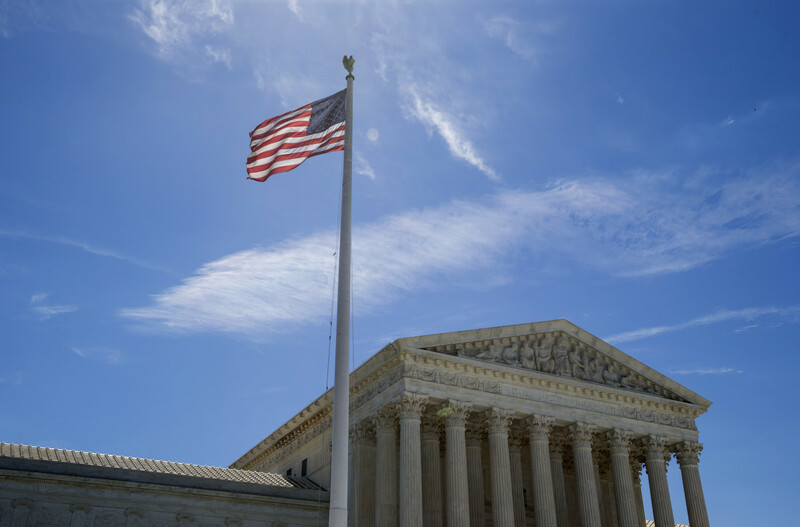 A flag flies outside the U.S. Supreme Court on June 26th, 2017. The Supreme Court&apos;s language in reviving some elements of President Donald Trump&apos;s controversial travel ban—specifically, that the ban would not be applied to "foreign nationals who have a credible claim of a bona fide relationship with a person or entity in the United States"—has prompted many to ask: What exactly qualifies as a "bona fide relationship with a person" in the U.S.? U.S. Immigration and Homeland Security officials said Monday that they were working to determine how best to implement the Supreme Court&apos;s decision—which affects members of six Muslim-majority nations, all of them Arab (Libya, Somalia, Sudan, Syria, and Yemen) with the exception of Iran. "It&apos;s hard to know all of the relevant facts—especially what extreme vetting is looking like, and what impact it is having—but the administration can accomplish much of what it wants to do without an executive order as a practical matter, if not as a matter of political mileage," says Hiroshi Motomura, a University of California–Los Angeles law professor specializing in immigration law. The ban had initially been challenged by lower courts from Hawaii to New York, which argued against the ban&apos;s constitutionality. But the Supreme Court decision Monday bars only people without "any bona fide" ties to the U.S. It was not immediately apparent, at least from a legal vantage point, what qualifies a relationship as "bona fide," and what tools the government will use to determine, for example, that an Iraqi seeking entry into the U.S. is not, in fact, a distant cousin of a U.S. resident. Among the many unanswered questions is whether the Supreme Court will simply allow the ban to expire. Monday&apos;s decision will last until the court hears arguments about the ban&apos;s constitutionality in October. The second of Trump&apos;s executive orders banning people from Muslim-majority countries was set to last for only 90 days, with an extra 30-day ban for refugees. "Since the E.O. is time-limited, it&apos;s possible that the E.O. will expire before October," Motomura explains. "This would mean the case would be moot, and there will be no case or controversy for the court to decide." While the future of the ban remains in limbo, Arab and Muslim community leaders expressed outrage that, following a lengthy legal battle in the lower courts, the Supreme Court had ruled in favor of the ban. "This bigoted decision may open the door to more uncertainty and chaos at airports across the country." 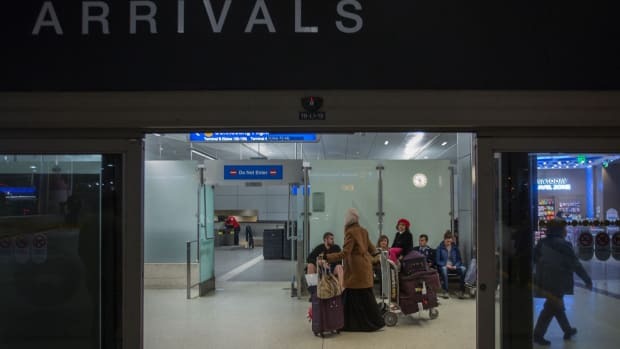 "This bigoted decision may open the door to more uncertainty and chaos at airports across the country," says Rashad al-Dabbagh, co-founder of the Arab American Civic Council, an advocacy group based in Anaheim, California. 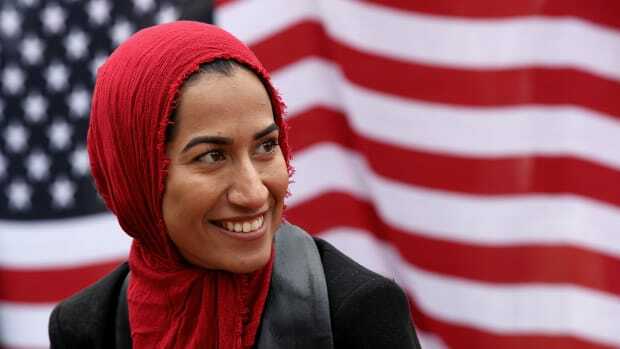 The decision "came as Arabs and Muslims in America and worldwide are still celebrating the second day of the Eid holiday, adding insult to injury," Dabbagh says. 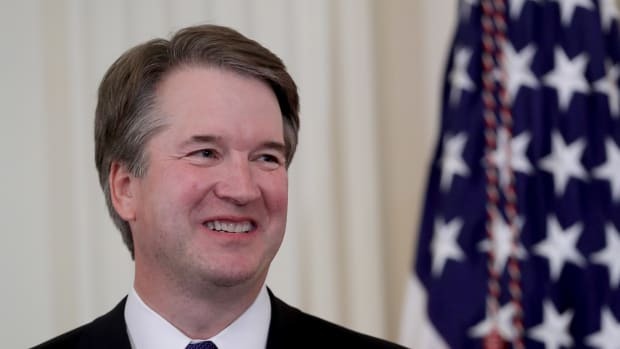 International media crowned the Supreme Court decision a resounding win for Trump, echoing a press statement the president released earlier in the day calling the move a "clear victory" for U.S. security. Motomura says Trump&apos;s comment on his alleged success an exaggeration; while the court clearly rules to instate Trump&apos;s travel ban, it also effectively disqualified the main demographic affected by the ban: relatives of existing U.S. residents. "It&apos;s true that the court found that the injunctions issued by the federal appeals were too broad," Motomura says, "but because being admitted to the United States usually requires some sort of U.S. connection, the [Supreme] Court left the lower court decisions—blocking the executive order—intact as to the vast number of people who are directly affected by it." The ban remains in a kind of functional limbo until October. What&apos;s much more certain, AACC&apos;s Dabbagh says, is the toll this development will take on victims of anti-Arab and Muslim hate crimes across the country. 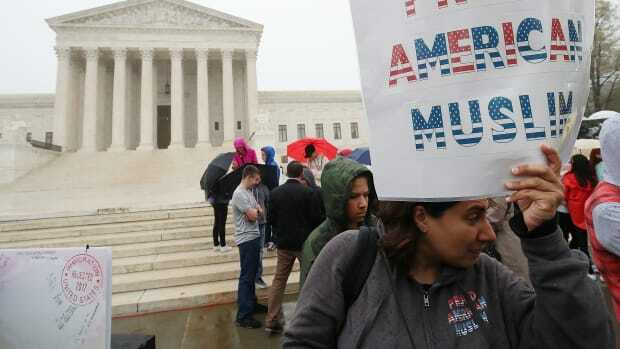 "The Supreme Court decision to uphold parts of Trump&apos;s travel ban from six Muslim-majority countries embolden the bigots within the Trump administration and encourages them to continue their hateful rhetoric against Arabs, Muslims, immigrants, and refugees," he says. 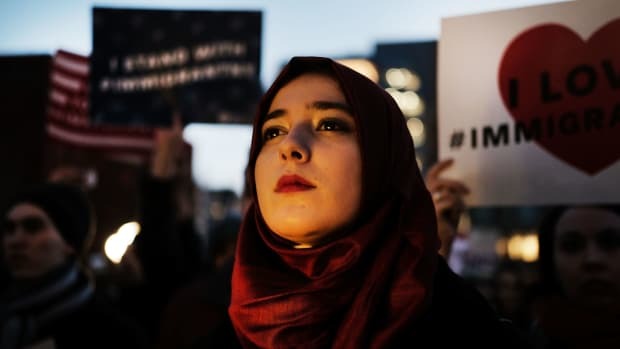 Since, as Motomura observes, much of what the ban will now do could have been accomplished without executive order, the ban appears to be an act of political grandstanding at the expense of Arab and Muslim Americans.